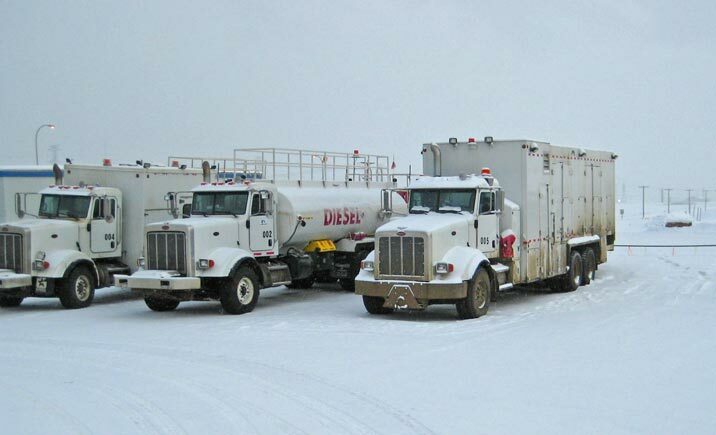 Thermex Systems is a design-build manufacturer of custom modular Fluid & Fuel Warming Systems engineered for the most extreme operating conditions, suitable for many industries such as Mining, Oil & Gas, On-Highway Trucking and Bulk Transport . Our extensible unit design allows for the combination and interchange of separate components. Utilize these expandable systems depending on your equipment needs. For fluid & fuel warming, and for hydraulic tank heating, our Heatprobe® immersion tank heaters for example, can be daisy-chained. For use in heating multiple Diesel Exhaust Fluid (DEF) tanks or hydraulic tanks to maintain a proper temperature during transport. Thermex Heatprobe® fluid warming system can be used in many different scenarios including using wasted heat from the engine coolant system to quickly warm up hydraulic fluid and hydraulic tanks, and maintain optimum temperature to prevent hydraulic fluid from gelling. When used in warehouse applications, Heatprobe® units can be plumbed sequentially for IBC tote heating and multiple probes can be installed on larger bulk tanks. Thermex HeatProbe® units are versatile immersion tank heaters. Designed to recycle excess heat from hot engine coolant and act as a heat exchanger. Designed for bulk diesel fuel warming, hydraulic fluid warming, hydraulic tank heating, DEF heating, IBC Tote Heating and other scenarios. 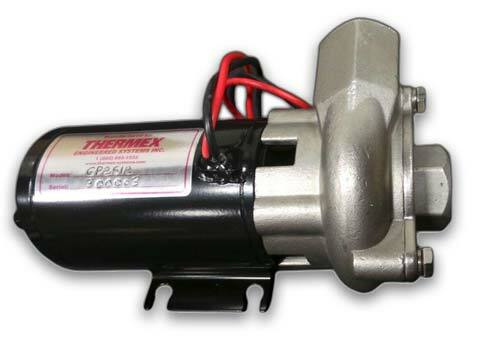 The Thermex BatteryWarmer™ utilizes hot engine coolant and acts as a heat exchanger / battery base heater. Energy efficient systems reduce overall downtime in your heavy equipment. Maintaining optimal amperage in cold weather conditions. Plumbs easily into coolant lines and designed for maximum surface contact to keep your batteries and electrical systems cranking up. Thermex FuelLineHeater™ is a special heat exchanger designed to effectively heat Diesel fuel. By leveraging hot engine coolant, the diesel fuel line passes through the stainless steel manifold, maximizing the surface area for diesel fuel as it passes through this energy efficient heating system. 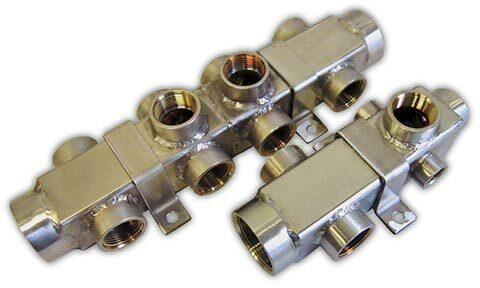 The Thermex CoolantManifold™ helps simplify the plumbing of multiple heat exchangers. Stainless steel construction for maximum durability and protection from harsh fluids. Allows other Thermex components to share the same coolant lines to maintain coolant temperatures and fluid flow to multiple systems. Thermex BoosterPump™ is used to regulate pressure in heating loops when there are multiple heat exchangers installed. Also if there are long distances between heating lines, these compact pumps are designed to evenly distribute hot engine coolant to all Thermex systems.